Your birthday is your special day. But some people have to share a birthday. 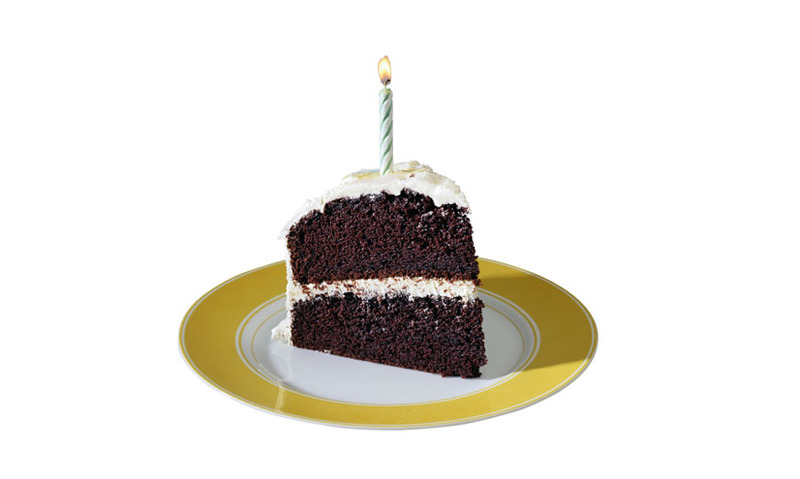 And the chances of two people in a group sharing a birthday could be higher than you think. It seems reasonable to assume that, with 365 days in a year, there would need to be at least 366 people in a room before you find two people that share a birthday. Imagine you mark your birthday on one of 365 dates on a calendar. If another person enters the room and marks their birthday on the calendar, they could mark any of the 364 blank boxes and avoid yours. So the chance the two dates won't collide is 364 out of 365. The chance that the next person who enters will cross another blank box is 363 out of 365. For the next newcomer, it's 362 out of 365 – and so on, in sequence. 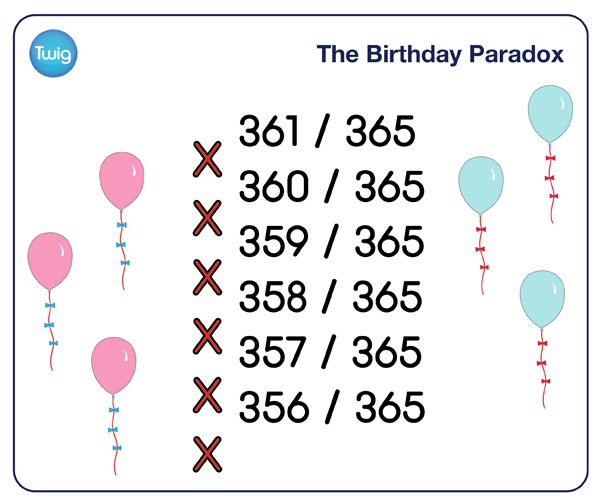 The chance of any newcomer avoiding the birthdays of people already in the room is simply the number of dates – 365 – minus the number of people in the room – p – divided by 365. To calculate the chance that none of the people in the room share a birthday, the numbers in the sequence must be multiplied together. For two people this works out as a 99.7% chance they won't share the same birthday. With 15 people, this falls to around a 75% chance. And by 23 people, the chance that they will avoid each other's birthdays falls below 50%. Which means it is more likely than not two people will share a birthday once there are 23 or more people in the room. With 57 people, the chance is over 99% – a near certainty. So next time you're in a room with 22 other people, try finding out whether two people in your group have the same birthday. The chances are, they will.